“Of course, there are issues and I heard, like everyone else, that some governors want to remove the national chairman if they get the chance but I am not aware of any plan yet to convene a NEC." 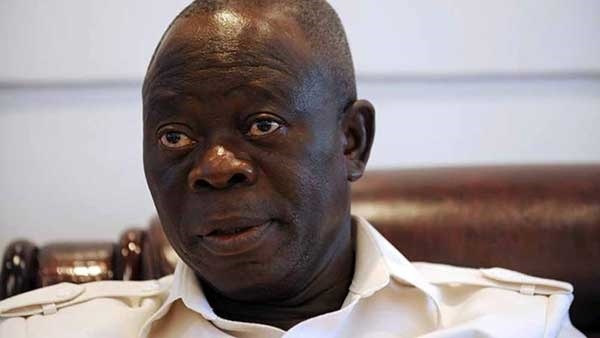 The chairmen of the All Progressive Congress in the 36 states of the federation are said to be working with some top leaders of the party to remove the embattle party chairman Adams Oshiomhole. This follows the crisis that arose from the last primaries of the party. However, a source said that the plan might not succeed as the National Leader of the party, Bola Tinubu, had begun moves to foil the plan. “This may stop the plot of the chairmen because his visit to the President was not unconnected with the Oshiomhole issue. A member of the NWC who spoke on condition of anonymity on Saturday, said, “Of course, there are issues and I heard, like everyone else, that some governors want to remove the national chairman if they get the chance but I am not aware of any plan yet to convene a NEC.